I LOVE my Bearpaws! I've had now for 5 years and they look the same and SO warm! 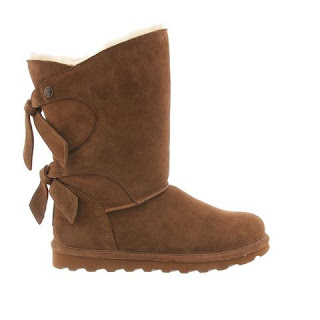 Right now you can get these Bearpaw Women's Willow Boots for $48 (Retail $89.99) with code PZY48 at checkout. The Willow adds a unique twist to your wardrobe with the asymmetrical top accented with a decorative back double tie detail.